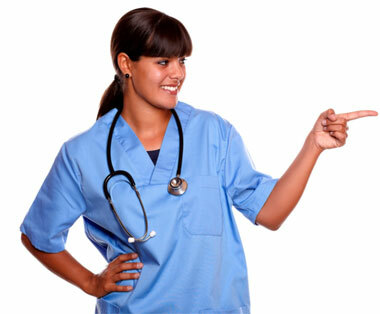 Independent Nurse Contractors: Should I Incorporate? Why do I Need to Incorporate? You may have found your way to this site wondering why you were instructed to incorporate to work as an independent nurse contractor or similar medical professional. Chances are, you already know someone who works as an independent healthcare contractor who did not have to incorporate. The IRS is very clear about the differences between independent contractors and employees. IRS literature lists 20 tests that are used to determine the status of a worker and many of them focus on who has control over the work that you perform. For example, a painter that comes to your house has complete control over his work, the tools he uses, the time he arrives, the brand of paint he uses and who he hires to work with him. On the contrary, a nurse working through an employment agency relies on the facility and the agency to provide the medications, the patient rooms and the equipment to perform the job. Additionally, the hours and location of the work are predetermined by agreement between you, the agency and the facility. Under the regulations, since your agency and facility have so much say in how, where and when you do your work, you are considered to be an employee. This was highlighted in a recent court case in January 2010 (US v Crabbe 2010-1 USTC ¶50,197) where a staffing agency was found guilty of evading taxes by misclassifying the nurses it placed in various healthcare facilities. Each of the nurses was treated as independent contractors despite meeting many of the criteria that would classify them as employees. In order to work as an independent contractor legally, you need to form your own company and work as an employee for the same. It sounds like unnecessary work, but you are creating an additional layer of structure that will satisfy the IRS rules. Since the agency pays your company, there is no conflict. If it were to pay you as an individual independent contractor, your agency would be in violation of IRS rules and subject to penalties and possible criminal investigation.